Agricamper "La Giuliana". Accueil très très agréable (7h/minuit). Endroit idéalement situé près de Pompei, Capri, le Vesuve, Naples et la côte Amalfitaine !! Une trentaine de place, toilette et douche propre, eau, électricité en option ( 5€), vidange eau grise et k7. Lieu calme et sécurisé. Agricamper La Giuliana We were very tired when we arrived from a gruelling couple of hours driving from Naples. How lovely to be greeted so warmly by Giuliana and her family. Everything is here. Nothing is too much trouble. My partner has injured a leg muscle and needs to rest for a couple of days. What a perfect place to do it! It is like staying with family. A home from home. not just a stop on the road. Straight walk into town. Very easy. Wir wurden von den Besitzern sehr herzlich begrüßt und zwei Tage mit Kaffee, Kuchen und mehr verwöhnt. Die Dusche und die Toilette sind super sauber. Jeder Caravan hat einen eigenen Wasser- und Stromanschluß. Die Ausgrabungsstelle ist fußläufig erreichbar, wir wurden aber trotzdem dorthin gefahren und wieder abgeholt! Da wir, wie die Besitzer auch, 3 Jungs haben, gab es genügend Spielkameraden. Ein toller Platz! 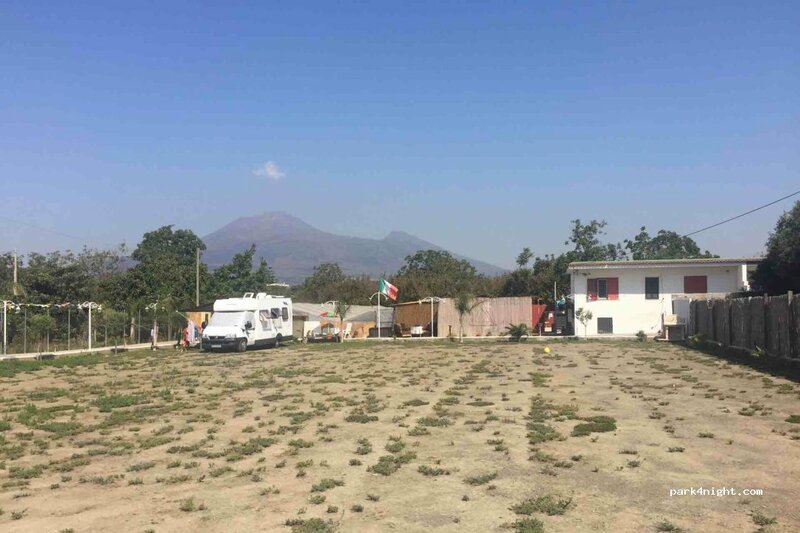 Agri Camper La Giuliana offre una vasta area di sosta per camper, rolulotte, minivan e auto, attrezzato di tutto il necessario, corrente elettrica, acqua potabile e scarico vaschetta, dista appena un km dagli scavi di Pompei e da altre attrazioni come il Monte Vesuvio, Sorrento, Amalfi, POSITANO, Sentiero degli dei e la città di Napoli, inoltre e circondato da tanto verde e lontano dal traffico cittadino, vicino all'ingresso dell'autostrada. I proprietari sono cordiali, gentilissimi e pronti a soddisfare ogni richiesta. WiFi gratuito wc e docce in loco. El lugar está cerca del centro de la ciudad, desde donde puedes explorar todos los lugares de interés. Los dueños del lugar son muy amables y serviciales. Es como estar en una familia. ¡Muy recomendado! Accueil très sympathique, Guilliana est de bons conseils. Situation idéale pour visiter Pompei, Naples où le Vésuve. Nous n’avons pas compris pourquoi nous n’avons pas été placés sur l’herbe mais dans l’allée alors qu’il y avait beaucoup de places disponibles. On nous a dit qu’il y avait des réservations mais nous n’avons vu personne ! Problème avec les douches/wc froides et très étroites. Petit conseil : prévoir un second tuyau d’eau pour séparer alimentation en eau potable et nettoyage cassettes wc. Great family run Camping. Bit far from city center (35 minute walk), but Pasquale is ready anytime to drop you there or take you from city centrer for a small fee. Placenis not so noisy as in city center. Acceuil sympathique des propriétaires. Rue bruyante et très passagère. Entrée d'accés étroite et dangeureuse. WC et douche dans un même lieu et très étroit . Les vidanges se trouvent au milieu du terrain avec difficulté de bien nettoyer. Prix excessif au regard des prestations. Super host with lots of great advice. Very welcoming. Good value. Ideal spot to visit Pompeii. Nice hot showers and clean facilities. Safe place to leave your camper whilst sightseeing. Such a lovely a lovely place to stay, we highly recommend! We arrived and were made very welcome by Giovanna and Pasquale with a drink. They showed us around and advised us on visiting Pompeii. The showers and toilets were very clean. You have a great view of Vesuvius. Giovanna is always there to help if you need it. We stayed 3nights with our 4 children and dog and paid 20€ per night plus a one off 4€ tourist tax (2€/adults). Our Mortorhome is 7.5m and we were fine there. The only thing is you must approach from the north. We came via Terzigno. The roads from the south are very narrow and there are many restrictions for big vehicles like ours. Wir waren für 3 Nächte hier und es war immer sauber, die Betreiber immer äusserst hilfsbereit und sicher. sehr zu empfehlen auch mit hund. Wir waren Mitte März mit zwei Hunden und unserem Wohnmobil 7 Meter Länge hier und haben es sehr genossen. Duschen waren sehr sauber, die Toiletten auch. Nur leider ohne Klobrille. Die Besitzer sind mehr als nett! Wir sind zu Fuß zu den Ausgrabungen gelaufen, 20 Minuten mindestens. War aber machbar. Unser Gaß war leer und so haben uns die Besitzer die Flasche auffüllen lassen. Klasse!!! Vielen Dank! Punto strategico per visitare Pompei, il Vesuvio, Napoli e la Costiera Amalfitana. L'accoglienza è ottima anche in tarda serata. 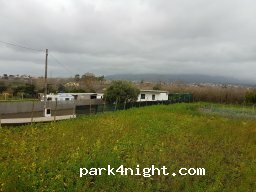 Area verde a gestione familiare con passione e disponibilità! Tranquilla e sicura con recinzione e chiusura serale del cancello. Area video sorvegliata da telecamere e i gestori vivono sul posto. Manuele e Leo vi aspettano per giocare insieme a loro! Super accueil des propriétaires. Eau potable électricité à chaque emplacement. Douches WC à disposition. Le site archéologique à 25 m à pied. Absolut perfekt !! Direkt in Pompei . Wir waren 2 Nächte über Silvester . Die Besitzer haben uns sehr herzlich empfangen und verwöhnt mit Getränken und Kuchen, an Silvester mit Sekt und Feuerwerk! Man merkt die Leidenschaft! Die Sanitäranlagen sind sauber. Es ist ruhig und sicher in der Nacht und das alles für 20€ die Nacht (2Per) ... ci piace tornare. Nice and good spot for one or two nights. Showers warm and very clean, toilets too. Toilets don't have a cover, so you would sit directly on the pot. Fresh water connection at each single parking, superb. Dump for grey and black water is a bit tricky for longer campervans with big reservoirs like I have. Streetnoise unavoidable but acceptable during the night. Warm welcome by son and mother including welcome drink. Walk to the ruins 20- 30min, not 15 as the son wants to make you believe... Very friendly, very clean, wide parkings, overall worth a recommendation. Not five stars due to the street and the little noise of passing cars. One person, one night, no electricity 22€ incl. city- tax. Services included. Perfect. Welcoming family. Safe and secure only 15 minute walk to historic centre. Hot shower and clean facilities. €25 for van and 2 people + tourist tax. A little expensive but you get what you pay for and location is excellent. Highly Recommend. 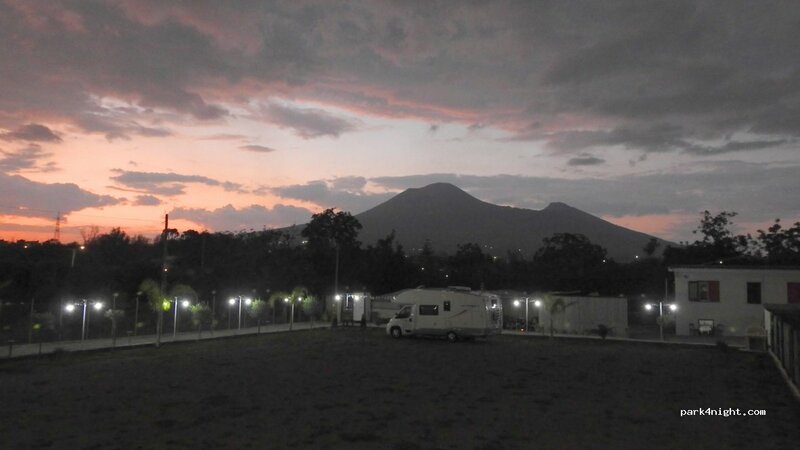 A lovely place to stop over and a good base to leave the camper while visiting Pompeii ruins, Sorrento and Vesuvius. Giuliana & her husband bend over backwards to make you welcome and nothing is too much trouble if you need assistance. They helped me to have my UK gas bottle refilled. That's service! Buonasera sig.Bertrand Alain e Bertrand Colette Denise.Sono Giovanna,la padrona di Agricamper la Giuliana,ho letto il vostro commento e sono rimasta molto male.Vi abbiamo accolto nella nostra aria con tutto il cuore,lei prima di venire da noi ha letto benissimo il prezzo della nosta aria,lei non sta arrichendo a nessuno,lei ha lasciato 20 euro in mano a mio figlio,approfittando della mia assenza. Ciao, sono Giovanna, la padrona di Agricamper la Giuliana.Vorrei ringraziare tutti camperisti, che sono venuti da noi.Benvenuti tutti camperisti dal tutto mondo nel mio agricamper. Vorrei ringraziare di cuore il signior Maxflow, lui mi ha iscritto su Park4nigth. Spero, che lui leggera il mio commento.Ti invito nel mio agricamper, potrai stare tutto tempo, che voi.Per te sara tutto gratis.Giovanna. L'accueil n'est pas mal, par contre nous avons eu l'impression d'enrichir ces personnes qui ne veulent que de l'espèce. 20 euros de parking. 5 euros électricité. 2 euros par personne de taxe, en tout une nuit 29 euros en plein mois de novembre, un peu loin du centre historique. Be aware of the total cost for one night. 20€ for Camping, 5€ for electricity and 2€ per person tourist tax. WiFi is not good. Only available sitting on the couch in front of the house. Other than that very friendly host. Clean and warm showers. We stayed here for 4 nights in November and couldn't be happier. The location is perfect, it's easy to find with all the facilities needed. It is 25€ per night with elec and tourist tax of 2€ per person is additional. Easy to get to the ruins on foot and just outside the ruins entrance is the bus stop for Vesuvius. Lovely hosts, perfect location and hot showers.....what more do you need! Très bien, attention à l'eau chaude le soir, 20 mn à pied de Pompei, 20 € avec eau, 25 € avec le courrant. Pasqual est très gentil mais attention Mme fait payer des trajets que Pasqual à offert, donc bien faire attention et si j’ai une personne à remercier c’est Pasqual, c’est tout. This place is amazing... view of Mt Vesuvius from my bed! The hosts are lovely and it’s a 20 minute easy walk into Pompei town. The grounds are lovely. The toilets/showers functional and clean with hot water. After a few days of no facilities, a hot shower was exactly what we needed. On arrival we had a warm welcome by the owners, shown around the site and given a free drink. We asked about washing facilities for our clothes to be told to leave the bag near the washer and she’d sort it for us. Slightly mortifying as they were pretty stinky! Clothes were washed, dried, folded and brought back to us. I wish the laundry fairy could live with me. There’s some road noise but it doesn’t disturb sleep. Pitches include drinking water and electricity. I would definitely recommend this site for anyone wishing to visit Pompei. We’ve stayed 2 nights, 1 left to go before we move on, weather allowing. Accueil familiale chaleureux sympathique. Lieu bien placé pour visiter Pompeï à 22 mn à pied. On peut prendre un bus pour Vesuve pour 3.10 €/ personnes devant les Scato de Pompeï. Pascale est plein d'attention. Ses enfants sont très gentils. Le lieu est très propre est en cours d'aménagement. Ils n'ont qu'une année d'ouverture mais ils sont ouverts aux propositions pour améliorer les lieux. Nous leur souhaitons pleins de vacanciers pour partager leurs sourires avec eux. Super host! We stayed two nights. 20 min walk to town/Pompeii site. Clean facilities and hot showers. Water point at each pitch. WiFi not so good. Amazing/cheap/massive pizza from Pizza Addù Fabbio, Via Nolana, 152, 80045 Pompei!!! 5 mins down the road! Das ist das freundlichste und hilfsbereiteste Stellplatztaem in unserer 30 jährigen WOMO-Zeit.Auf die Frage ob wir nach 22 Uhr noch vom Platz können um unsere Tochter von Flughafen abzuholen,haben Sie darauf bestanden es mit Ihrem Auto zu machen (Dauer 3 Stunden) absolut liebenswürdig und empfehlenswert! Eine Geburtstagstorte wurde auch noch besorgt. Vielen Dank für die einmalige Betreuung. Wir sind dort sehr freundlich mit einem Begrüßungsdrink aufgenommen worden. Hilfsbereit beraten und sogar zu den Ruinen gefahren worden. Wir fühlten uns wie zu Hause. Wir waren 3 Tage dort und sind von der Freundlichkeit der Betreiber begeistert! Platz, Du WC sind stets sehr sauber! Ruinen sind prima zu Fuss erreichbar. Gerne wieder! Tip für die Weterfahrt: An der Ausfahrt des Platzes LINKS fahren, egal was das Navi meint! Rechts kann man die geballte Enge und Zustände von Strassen auf dem Weg zur Autobahn erleben! Das braucht weder Mensch noch Maschine! Effectivement très couples très sympa et accueillant, sanitaire très propre. Pour la visite du Vesuve et de Pompéi vous pouvez tout faire le même jour sans problème en partant du matin après avoir réservé le Vesuve la veille, en face des ruines de Pompéi vous avez l'office du tourisme qui vend des places pour le volcan mais d'autres aussi plus loin avec de meilleures bus. En sortant du camping : gauche, droite, droite à la grande église et tout droit. Wir sind von den Besitzern und dem Platz begeistert. Super netter Empfang, sehr freundlich, hilfsbereit und zuvorkommend, saubere Duschen und Toiletten, absolut empfehlenswert! Die Lage des Platzes ist fußläufig (ca 20 min.) der Ausgrabungsstätten. Great place. We were here in the beginning of september for three days to visit Pompei, the Vesuv and Napoli. The family owning the place is great, they greeted us with some sort of lemon drink. The place is spacious and clean, showers and toilets are clean and very new. There is a wifi connection. When visiting pomei don't fall for the people in yellow shirts selling too expensive tours. Difficile de se garer dans cette région et les camping sont de vrais attrape-touristes ! 24€ par jour pour 2 et un van aménagé. Les sanitaires sont très propres. Plutôt calme malgré la route. Les propriétaires et leur enfants sont très sympas ! Luogo molto tranquillo, facile da raggiungere, vicino al centro e agli scavi. Con docce e bagni puliti. Presenti corrente e scarichi Personale molto cordiale, che ha risposto a tutte le nostre necessità dandoci un ottimo benvenuto. Se dovessimo ripassare torneremo. Bardzo dobre miejsce na nocleg w Pompejach (proste choć długie /Ok.20 min/ zejście do centrum). W sam raz na zwiedzanie Pompejów i Wezuwiusza. Wspaniała rodzinna atmosfera, mili i pomocni właściciele. Cena bardzo dobra jednodniowy pobyt czterech osób ( w tym 11 letnie dziecko) z prądem i wodą wyniósł 33 Euro. Gorąco pozdrawiamy. Endroit très chaleureux et familial. Nos enfants ont adoré jouer avec leurs enfants. Merci encore pour le cadeau d'anniversaire de notre fille. Possibilité de faire une machine (en plus le linge est plié par la propriétaire !). Magnifique. Merci beaucoup. Accueil très agréable, superbe vue sur le Vésuve, propriétaires chaleureux et bienveillant. Endroit idéal pour visiter Pompéi, les ruines de Pompéi et le Vésuve. Nous devions y passer une nuit nous sommes finalement restés trois jours. Nous vous recommandons cette aire très chaleureusement ! Accueil très chaleureux, des sanitaires très propres et un accès à l’eau à chaque emplacement. Petit parking bien aménagé et surveillé par des propriétaires très sympathiques. Assez proche des ruines de Pompéi (40 mn à pied). Dommage un peu de passage la nuit, et assez tôt le matin. 20 €/nuit sans électricité + 2 €/personne taxe de séjour. Eine wirklich sehr freundliche und hilfsbereite Familie! 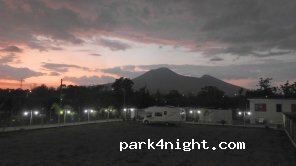 Wir waren 1 Nacht dort und wollten am nächsten Vormittag nach Pompei fahren, Giovanna hat sofort gesagt, wir sollen doch stehen bleiben und zu Fuß gehen weil das Parken in Pompei nicht so einfach sei. Der einzige Nachteil, warum ich auch 4 Sterne gebe ist, dass es nur 1 WC und 1 Dusche gibt. Alles in allem ein sehr empfehlenswerter Platz! Super accueil et super services. Giovana est aux petits soins. Les enfants peuvent profiter de la petite piscineet jouer avec les enfants des propriétaires. Ne pas hésiter une seconde ! Accueil très chaleureux. C'est 20€ la nuit auxquels il faut desormais ajouter 2€ de taxe par personne (et 5€ pour l'electricité). Pas de check out donc on peut laisser son vehicule la journée pour visiter le site de Pompei à 20minutes à pied. Très rassurant. Super accueil dès notre arrivée, avec le sourire et un jus de fruit frais. Propriétaires adorables et aux petits soins. Douche et WC très propre. Idéal pour visiter Naples, Pompei et le Vésuve. Ne cherchez pas plus loin. Aire situé à 20 bonnes minutes du centre. Super accueil, avec régulièrement de petites attention (café, boisson fraîche). 25 Euros avec l'électricité. Très bon accueil malgré notre arrivée tardive à 23h30 ! Sanitaires propres, pas une grande pression pour la douche mais à volonté donc pas de problème pour nous ! Plutôt calme. A une trentaine de minutes à pied du site de Pompéi par l’entrée de l’amphithéâtre. On recommande ! Wonderful place to stay, we have been on the road for six months and have never felt so welcome. If you are visiting Pompeii this the sosta to stay at, only 30mins walk to ruins and 20mins to the train station for Naples. We arrived for 1 night and left 8 days later ! Wie schon beschrieben, super freundliche, herzliche Familie. Bei Ankunft hat mich der 9jährige Sohn gleich eingewiesen. Giovanna brachte mir eine kalte Brause und einen vorzüglichen Café. Morgens hat mich der Hausherr zu den Ruinen gefahren. Nachmittags wieder abgeholt, hier gab es ein Missverständnis, da es mehrere Ausgänge gibt, aber es hat geklappt. Habe mich bei der Familie entschuldigt. Abends waren alle Camper zum Geburtstag vom Sohn eigeladen. Es war eine sehr schöne Feier. Morgens und Abends wurden wir immer mit Café verwöhnt. Die Hausherrin ist ständig am putzen, alles sauber. Sehr empfehlenswert. Super aire de camping, personne très à l'écoute et serviable, 20 € la nuit, 2 € de taxe par personne, pas de supplément pour les chiens. 5 € d'électricité et 5 si vous voulez faire une machine (lavage séchage et pliage fait par ses soins). 1 douche et wc pour tout l'air mais suffisant et d'une extrême propreté. A l'arrivée une boisson rafraîchissante ou café et tous les matins, elle nous offre un café. Je recommande fortement. Super nette Betreiber! Platz und Sanitär alles ordentlich. 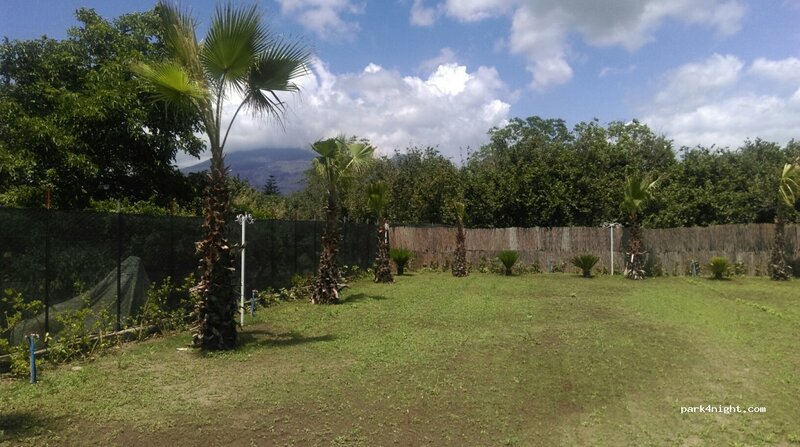 Great place to stay, excellent walking distance from the old town of Pompeii. Thank you. Fantastic welcome from Giovana and Pascuale (and the children!) - real ambassadors for Italian tourism! We enjoyed the complimentary coffees (Reviewer "Kratus" - coffees were not obligatory! They were a generous gift from a wonderful and caring host! )and cakes... and homemade limoncello... and the advice and support for all the campers. Great facilities, luxurious unlimited hot shower - heaven! Excellent camper stop! Wonderful warm welcome from Giovanna and Pasquale, coffees and cakes - such generosity and hospitality! 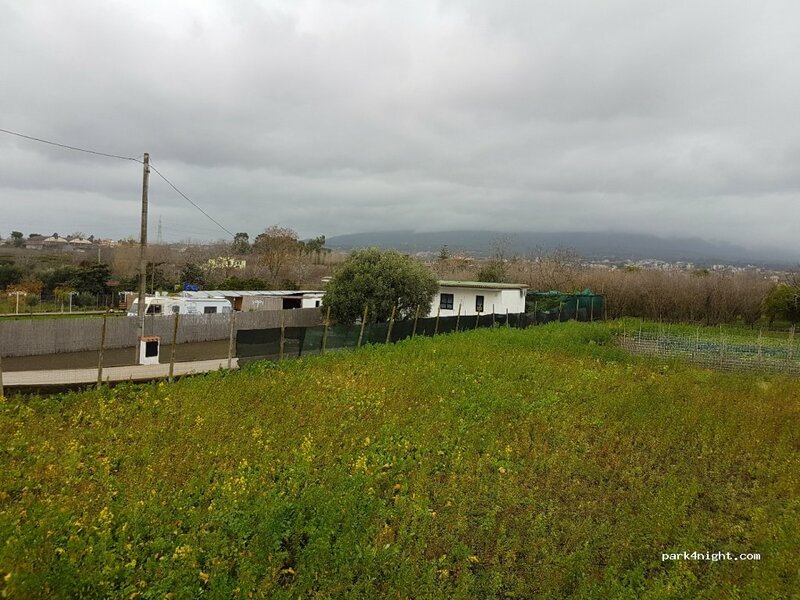 Unlimited hot water shower, immaculately clean toilet with soft toilet paper... Level walk to town, 15 minutes from Circumvesuviana railway station, helpful advice on trains etc. Lovely atmosphere at the site - easy to chat to new friends thanks to Giovanna making everyone feel welcome. She will also do a full machine of laundry, dry it and fold it for just 5€ - wonderful! She has genuine concern for all the campers - good to feel that she is looking out for us all. All in all, the best site we have ever stayed at. Très bon accueil.Toute la famille d'Anzhelika est bienveillante. L’endroit est propre avec douche chaude et WC régulièrement entretenus. Arrêtez-vous à La Giulana sans hésiter ! Awesome place to stay, especially for visiting the Pompeii ruins which are so close. Nothing is too much trouble for the hosts and even laundry is washed, dried and folded for a cheap price! Coffee brought round a few times a day and fresh fruits etc. A really good stay. Thanks! This was without doubt the best stay we had in Italy. From the moment you arrive to you leave you are made feel welcome and at home. A 20min walk from Pompeii. Hot shower and toilet (very clean and looked after) water included and electric for €5 per day. Coffee and sweets every morning. Even gave us a lift to the local supermarket. Thanks for making our stay more memorable. Aire d'accueil très agréable: vue sur le Vesuve, lieu calme, très propre et aéré. Situé à 20 minutes à pied du centre historique de Pompei et des départs d' excursions vers Vesuve et Amalfi. Dispose d'un WC et d'une douche chaude. C'est surtout pour la qualité de l'accueil de Giovanna, son mari et ses enfants que nous avons passé 3 super journées: gateaux et boissons offerts à l'arrivé, café et nougats servis chaque matin aux clients, dés produits frais du jardin gentiment proposés. Très disponibles pour nous renseigner. Que demander de plus ? Un excellent souvenir et une adresse que nous recommandons. Pour y arriver, passer impérativement par la via Nolana et surtout pas par la via Giuliana qui est étroite et avec des branches au-dessus de la route à moins de 3 m.
Arrived late but made to feel very welcome and given arrival drinks. Very kind family and lovely place to stop. Immaculately clean facilities and brought coffee/oranges/biscuits/mini Easter eggs every morning. Convenient for Pompei and given lifts in the local area. Stayed 2 nights and wouldn’t hesitate to do so again. Thanks!! Stayed here from 28/2/18 to 2/3/18. Really felt welcomed by the family. Great location for visiting Pompei. Wir wurden von den Besitzern sehr herzlich begrüßt und zwei Tage mit Kaffee, Kuchen und mehr verwöhnt. Die Dusche und die Toilette sind super sauber, da sie mehrmals am Tag gereinigt werden. Jeder Camper hat seinen eigenen Wasser- und Stromanschluss. Die Ausgrabungsstätte ist fußläufig erreichbar, wir wurden aber trotzdem vom Besitzer dorthin gefahren und wieder abgeholt. Ein toller Platz! Une famille qui vous accueille les bras ouverts, avec petites boissons et thé tous les matins. Le pain frais fait par monsieur était excellent. A 20 mn du vieux Pompei et du bus pour le Vésuve. 25 € la nuit pour deux avec l'électricité, eau et douche, prix un peu élevé hors saison. Wi-Fi accessible prés de la maison mais pas des emplacements, mais séjour très agréable. Giuliana and her family are fantastic! We stayed here for two nights and we were one of the two campers there. The place is safe and quiet. All facilities are super clean. They clean then a few times a day. Laundry cost €5 including drying and folding! The family gave us homemade chocolate cakes the first night we were there and drinks every morning. This place is perfect for sight seeing Pompeii and even to sorento via train. 15 mins walk to down. They actually gave us a ride and back because it was raining when we were there. And the only reason they only have one shower and toilet right now is because they only opened 6 months ago. They are planning to install more. You won’t regret staying here. Super gastvrije familie. We werden opgevangen door de hele familie met fruit en fanta. Dagelijks werd er zelfs nog een espressotje gebracht. De plekken zijn praktisch en alle faciliteiten zijn aanwezig. 15min lopen van het centrum. Een aanradertje dus. Very good place to stop for Pompeii and the sights. We were made really welcome with drinks and home made cakes. Would highly recommend. Estuvimos 3 días por navidades. Lugar muy cercano a Pompeya y gestionado por una familia adorable. Muy atentos y generosos, el trato es excelente. Si vais con niños, la familia tiene 3 y siempre están dispuestos a jugar y pasar un buen rato con vuestros hijos o hijas. Son un verdadero encanto y se nota que su prioridad es que los huéspedes estén a gusto. Santi, Anna, Èric y Aniol. Fantastic place to stay. The family make you feel like you are at home. Can’t believe the floor mat, drinks, morning coffees and afternoon cake, so nice :) very convenient for trips into Pompei and to catch the bus to Mt Vesuvius. The hostess is very caring and makes you feel very safe. Stayed two nights but would love to have stayed longer, definitely recommend! There is a reason this is one of the campsites with most of positive comments i have seen in this app. A very welcoming family, very nice place to spend the nigh and very close to city centre, as said before. We’ve had a welcome coffee and a very good birthday cake homemade. We’ve paid 20 € for one night even without using electricity. This was late november, maybe high season costs more, but it is worth it. We came from Brazil, to do a roadtrip around Italy and this was one of the best places we stayed. Stayed here for a few days. Superb welcome and services from the owner and the whole family. 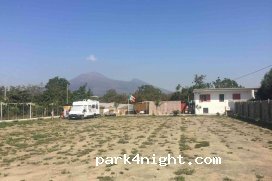 Great location, walking distance from Pompei ruins and the town centre from where you can catch a bus ride to the top of mountain Vesuvius. The negative side of the campsite is that only one shower and one small toilet. Over all 5 stars for hospitality and the effort to make every one welcome and happy. As said in all the other comments, very good hosts and perfect place to stay and rest when visiting Pompei and the surroundings. Accueil très chaleureux de Pascual et Johanna, un couple dévoué au bien être de leurs hôtes. Le prix est un peu élevé pour de la basse saison (30 € pour deux adultes et trois enfants) mais la douche (la seule pour le moment). Chaude est très agréable. Attention l'entrée du site n'est pas très large et présente un dénivelé à prendre "piano piano" ! Nous, nous avons touché à chaque passage. Agricamper La Giuliana We were very tired when we arrived from a gruelling couple of hours driving from Naples. How lovely to be greeted so warmly by Giuliana and her family. Everything is here. Nothing is too much trouble. My partner has injured a leg muscle and needs to rest for a couple of days. What a perfect place to do it! It is like staying with family. A home from home. A fantastic place with a fantastic hostess! We arrived to the whole family outside to greet us and help set up. We were instantly made to feel welcome. After a tour of the facilities we were told that if there was anything we needed at any time we were to ask. We received a welcome drink whilst being told about the local area, what to do and where to go. Due to stay 1 night, ended up staying 4! Late Oct visit. Fantastic stay! We spent the night before visiting Pompeii which is only a 15mins walk away. We were provided with a drink on arrival, coffee and cake and freshly made bread upon our departure. The kids even helped us set up! Would recommended!! Un moment extra. Pain frais et café, boisson de bienvenu, carte avec numéro de téléphone en cas de problème. Comme une impression d'être chez des amis. Grazie Giovanna e Pascal for this 2 awesome days!! We had an exceptional stay ! Lovely family made you feel so welcome. Greeted with juice upon arrival and were given loaf of homemade wood fired bread to try ! We stayed for two nights. Was extremely close to ruins, we walked (15mins) and was given great instructions. Giovanna was perfect host showing us all of the spotless facilities - including very clean and hot shower. Given espresso every morning. Would highly recommend. A wonderful family and fantastic stay. Un accueil d’une gentillesse exceptionnelle. Une famille très impliquée et extrêmement attentionnée. Jus de fruit à l’arrivée, café le matin, pain le dimanche, conseils pour les visites. Un excellent point de départ pour aller visiter les ruines de Pompéi, le Vésuve, Naples, la côte amalfitaine.... Si vous passez par là n’hésitez pas à vous arrêter, vous ne le regretterez pas. We spend three weeks in Italy and it was the best place where we parked. Family who runs the parking is amazing and we could write a book about their hospitality (coffee, dinner, "taxi driver" included :)). They recommended the cheapest way to visit Vesuvio. We spend two nights with our 7 months old baby and our pitbull. You will feel there like a member of family! Vu sur le Vésuve, un accueil tres très agréable, les sanitaires sont très propres. La propriétaire vous offre le thé en arrivant et un café au réveil. Nos deux chiens on eu droit au reste du repas de la famille. Le tout pour 20 euros pour la nuit!! Je recommande fortement. What an fantastic place. The family who runs this park are wonderful, welcoming and helpful. We received cold juice upon arrival, followed by coffee. The services are simple but clean and in perfect working order. We got excellent directions to the ruins (15min walk max) and another coffee in the morning. There is a new shower with hot water, which has been installed only two days ago. We would definitely stay here again. Highly recommended. Sommes sur place depuis deux jours, accueil personnalisé extraordinaire des propriétaires qui sont très attentionnés. Étape dans un environnement propre, sécurisé avec tous les services (ouverture depuis 2 mois seulement et nombreux projets d'aménagement). Situation idéale pour rayonner autour de Pompei, ne cherchez pas ailleurs. (C et N). Wonderfully welcoming family. They offered to drive us to and from the Pompeii ruins and Vesuvius. They also helped organise dinner each night we were there (even offered to cook one night!) and greeted us with fresh coffee every morning. Note the showers are currently only cold water and has no door. All round great stay. Superbement bien placé pour visiter Pompéi et le Vésuve, avec un service de transport en voiture proposé aimablement par le propriétaire. Emplacement propre et soigné avec eau et électricité pour chaque place. Animaux bienvenus. Si vous cherchez un endroit je pense que c’est là qu’il faut aller. 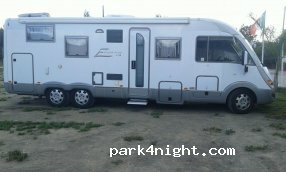 L'aire de camping-car de Giovanna et Pasquale est parfaite pour visiter Pompei et les alentours. Leur accueil est exceptionnellement chaleureux. Ils sont de très bons hôtes attentionnés. Merci à eux et à leurs enfants qui nous ont fait passé un excellent séjour au sein d'une famille italienne. Le point à améliorer serait la douche (sans eau chaude). Mais nous recommandons vivement cet endroit. Le top du top, accueil très chaleureux. Giovanna et Pasquale sont des gens en or très serviables. Aire plate et très propre, toilettes à disposition. Électricité et eau sur chaque emplacement. Pasquale nous dépose volontiers au bus ou à Pompéi. Ils sont de très bon conseil pour la découverte de la région. Je recommande vivement. Attention ! Google takes you through a very small road, one lane only. There's an easier way to get there, take via nolana and then turn to via parelle civita giuliana. Very good site and super nice couple running the campsite. Pasquale and Giovanna will welcome you into their home, here you will have a real Italian experience. They are the kindest and most generous hosts. We stayed for 2 nights there. Saturday night they offered dinner to all guests and we had a blast! There were people from France, Portugal, Brazil, America and many Italians. Monday morning had some car trouble and Pasquale made sure we were in the hands of a good mechanic. 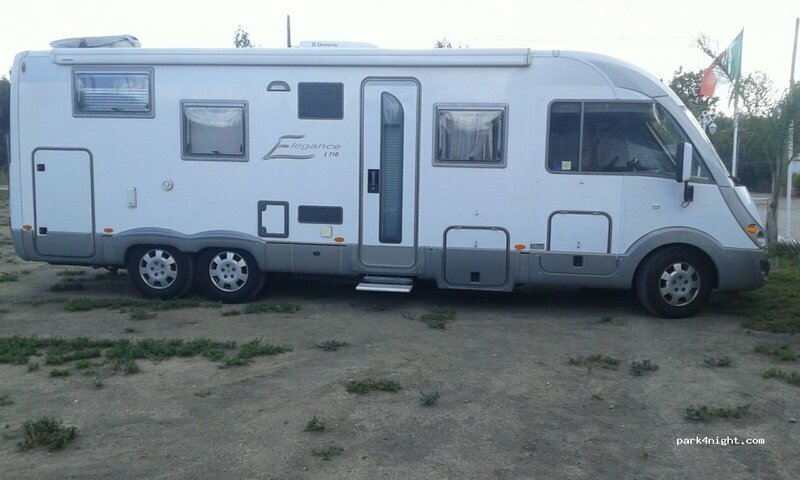 We left with our camper working 100% for a very fair price. Our visit to Pompeii couldn't have been better. He even drove us to the site! All that to say that they will go beyond their way to make sure you're felling welcomed. Totally worth the money. Área bien situada para ver Pompeya y la costa Amalfi (en moto Pompeya a 7 minutos y costa Amalfi a 20), los dueños son un encanto y te ayudan en todo lo posible. Pero, empezamos, autobuses no pasan cerca, la ducha es de agua fría en una cabaña de cañas, el cuarto de baño es un módulo de los portátiles (una sola cabina). Resumiendo, de lo que tiene puesto habría que quitar casi todo. Formidable accueil des propriétaires. Lieu idéal pour aller visiter Pompei.